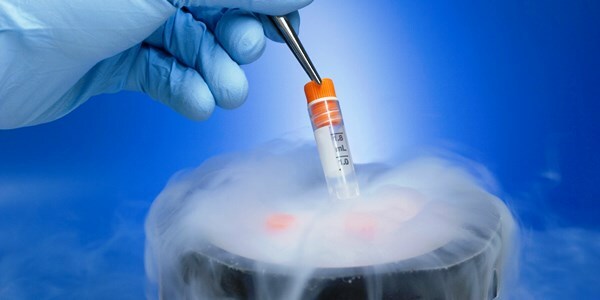 Human embryos of couples from across the world, frozen in liquid nitrogen at countless infertility clinics across India, now float in a sea of uncertainty with surrogacy laws in India set to become tougher, but no explanation on offer as to why these embryos can’t be returned to their genetic owners. Couples from the world over who came to India for surrogacy service are now demanding that their embryos be shipped back to them, but it is an almost impossible proposition as export of human embryos is barred. India banned commercial surrogacy in November, 2015, but panic among couples has set in only now after the Cabinet cleared the Surrogacy (Regulation) Bill 2016 last month. The bill, which has made the government’s intent to ban commercial surrogacy clear, is silent on the fate of embryos already banked in India. “I have 186 embryos of couples in my clinic and I have received about 20 requests from the U.S., Canada and the U.K. to ship the embryos back to them. For now, we are holding the embryos for them.” says surrogacy specialist Dr. Nayana Patel, who runs Akansha Infertility Clinic at Anand, Gujarat. She says she has met state officials at Gandhinagar to discuss the issue. Similarly about six embryos are kept at the International Fertility Centre, New Delhi and around 100 at Mumbai’s Rotunda Fertility Clinic. “The Indian government has given no real thought, no concession to people who have their embryos locked in India.” says Sam Everingham, Global Director, Families Through Surrogacy. Mr. Everingham says he has clients who would like to go for surrogacy in countries where commercial surrogacy is still allowed, or try it in their home country itself. Australia, for instance, allows altruistic surrogacy, Mr. Everingham says, adding that the solution lies in allowing people with embryos in India to go for surrogacy here. “The government should give a grace period.” he says. The Indian government has put a cap of five years on keeping embryos, following which they should either be discarded or given out for research. And this has given Melbourne-based Dr. Uzma Aslam sleepless nights. Born in Pakistan, raised in Australia and married to a Ukrainian, Dr. Aslam had a successful surrogacy experience in Mumbai in 2009. Pleased, she decided to return for a second child after two years. Only this time the surrogacy attempt failed and her wait for a second baby became longer, during which time the laws in India changed. Dr. Aslam shares the painful and cost-intensive surgical procedure she underwent for her eggs to be harvested. Her eggs and her husband’s sperm were used for the embryo, which was then shipped to Mumbai. “There were 20 excellent quality embryos and this was my last chance. I am 45 now, and won’t have those eggs anymore.” she says. New Delhi-based migration agent Poonam Jain, who is currently helping about half a dozen couples make representations to the Indian government, puts the concern in perspective: The embryos are a property of these couples and not of the government. And these are live embryos that can be sold or misused. Besides, it’s a rights issue. Dr. Aslam says she is being denied the right to what is genetically hers. Hari G Ramasubramanian, surrogacy law expert and founder of Indian Surrogacy Law Centre and Gift Life Egg bank, Chennai, agrees. “These embryos are their last chance of having a child that is genetically related to them.” says Mr. Ramasubramanian, who has sent a legal representation to the Maharashtra State Health Department seeking approval for a surrogate for a U.S. couple that has their embryo in a Mumbai clinic. He points out that India allowed surrogacy at one point and even issued surrogacy visas, thus promoting it. The issue of embryos has to be seen in that perspective, he says. Representations seeking embryo export approval are pouring into various government offices, nobody really sure who the approving authority is. Top pick for many is the Indian Council of Medical Research (ICMR) that has in the past issued approvals for import and export of embryos. But Dr. Soumya Swaminathan, Director General, ICMR says the body is no longer responsible for giving approvals. Calls are also being made to Department of Health Research. “We were not involved in the import of embryos, so how do we figure in their export permission.” says Manoj Pant, Joint Secretary, DHR. Representations have been made to the Ministry of Home Affairs, but an official say they can’t issue visas to embryos. As couples and their aides in India frantically seek help, they are unaware that an approval for export is, in fact, unlikely. “Export of human embryos is prohibited.” says an official of the Directorate General of Foreign Trade (DGFT).